Isa 62:2 And the Gentiles shall see thy righteousness, and all kings thy glory: and thou shalt be called by a NEW NAME, which the mouth YAH shall NAME. Rev 2:17 He that has an ear, let him hear what the SPIRIT says unto the CHURCHES; To him that OVERCOMES … (having ENOUGH RESPECT for YAH as ONE, to know to SEEK HIM, even to GUARD the WISDOM of HIS CONSCIENCE beyond ALL WORLDLY CONTRADICTIONS .. John 14:15-27) .. will I give to eat of the HIDDEN MANNA (the EXCEEDING TRUTH which YOUR RULERS will NOT TELL) .. , and will give him a WHITE STONE, and in the STONE a NEW NAME written, which NO MAN KNOWS except he that receives it. Rev 19:13 And He was clothed with a vesture dipped in blood: and His NAME is called The WORD OF YAH. Rev 19:12 His eyes were like a flame of fire, and on his head were many crowns; and He had NAMES/ TITLES written thereon, and ONE of the NAMES written, NO MAN KNEW/ DISCERNED but He Himself. KNOW THIS and be WISE! NO MAN fully true to the PROMISE of a COVENANT discerns the WAY of LIFE lest YAH as HIS GIFT reveals it! (Ephesians 2-4) I NO MAN discerns HIGHER TRUTHS of the INSPIRED SCRIPTURE lest YAH be TEACHER! Therefore YAH ALONE is SAVIOR! All that is required for man to be DAMNED is he be left to BLIND PARTIALITIES of CARNAL MIND! Discern the REFINING GRACE of YAH! Isa 49:4 Then I realized, I had labored after vanities. I too had spent My strength after worldly nothingness, and in vain. Yet NOW surely My judgment is WITH the LORD, and the reward of My work is WITH My YAH. 5 And now, saith the LORD that formed Me from the womb to be HIS SERVANT, to bring YACOB again to HIM, And though ISRAEL be not yet gathered, yet shall I be made a GLORIOUS SHINING LIGHT of HONOR b efore the eyes of the LORD, and MY YAH shall be MY STRENGTH. 6 And HE said, It is a thing of lesser difficulty that you should be MY SERVANT to raise up the tribes of YACOB, and to RESTORE the PRESERVED REMNANT of ISRAEL. For will also give THEE for a LIGHT unto the GENTILES, that you may be MY SALVATION/ SAVIOR unto the end of the earth. WHAT I SUBMIT FOR YOUR CONSIDERATION HEREAFTER IS PERCEIVED IN FAR GREATER LIGHT RELATIVE TO INFO FOUND IN THE ARTICLES “SECRETED CITY PROPHECIES” and “EARLY CHURCH ORIGIN” ON THIS WEBSITE! 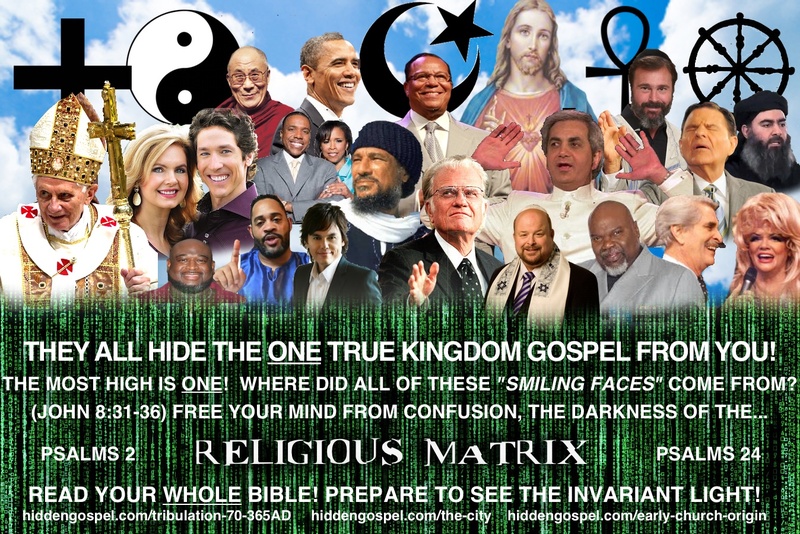 Is there any wonder that all the minions of BABYLON have as prophecied conspired to HIDE, DENY, PERVERT, SILENCE, NEGLECT, OMIT, and DESTROY the EXCEEDING TRUTH which EXPOSES ALL INJUSTICE? 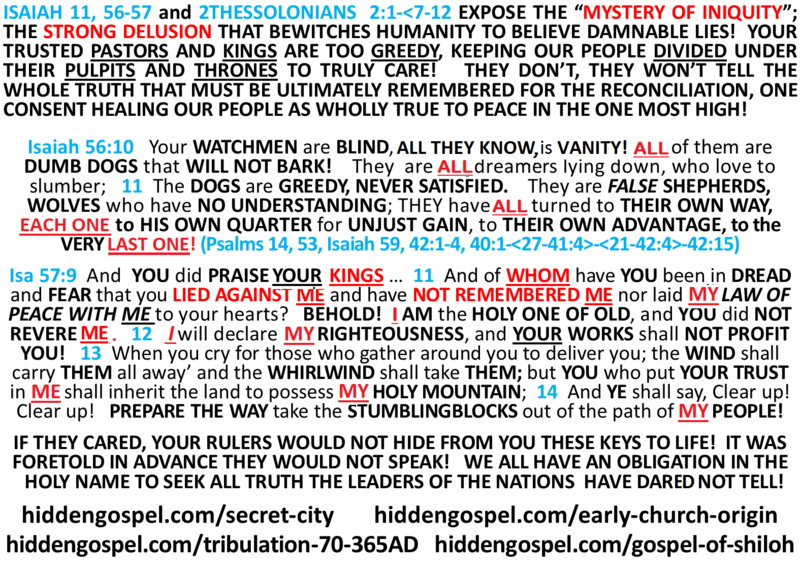 The PROPHECIES concerning the CITY OF DESTRUCTION/CONFUSION and the REVELATION of the MESSIANIC RIGHTEOUS KING OF THE EAST/ MEDES are DIRECTLY RELEVANT in REVEALING at last what will RESTORE SALVATION by DESTROYING at last the VEILS of FAITHLESS PRETENSES, MASS DEBATES, and DOUBT after PRIDEFUL ALLEGIANCES to the CONFUSIONS of BABYLON! Isa 19:18 In that day shall there be FIVE CITIES in the land of EGYPT which speak the language/ doctrines of the CANAANITES, yet SWEAR to the LORD of Hosts; ONE shall be called, CITY OF DESTRUCTION. (Genesis 4:1-2,Wisdom 10:6 ) 19 In that day shall there be an ALTAR TO THE LORD in the midst of the land of EGYPT, and a PILLAR at the border thereof to the LORD. 20 And it shall be for a SIGN and for a WITNESS unto the LORD OF HOSTS in the land of EGYPT! For THEY shall CRY TO THE LORD because of their OPPRESSORS (Exodus 3:7), and YAH shall send them a SAVIOR, a GREAT ONE (Numbers 24:14-<17-19), a DEFENDER (NASB), and He shall DELIVER them. COINCIDENCE? I THINK NOT! What is really going to “cook folk’s noodles” is this truth also revealed through inspiration! Not only is the MESSIAH’S NAME/ TITLES foretold in the SCRIPTURE, but it has been SPIRITUALLY DISCERNED also His FORE-PARENTS NAMES for TWO SUCCESSIVE GENERATIONS! The SECRET to it all is soon to be revealed in the words of the prophet HOSEA! (Hosea 6:1-2, 11:1) FANTASTIC COINCIDENCE? AGAIN, I KNOW NOT! REDISCOVER THE FOUNDATION OF REFERENCE UPON WHICH ALL TRUTH FOREVER STANDS! MESSIAH IN EFFECT SAID, “IF YOU ARE MY DISCIPLES, YOU WILL KNOW THE ABSOLUTE REFERENCE POINT THAT IS THE ONE SAVING CONSUMMATE LIGHT OF TRUTH, AND THAT VERY TRUTH WILL SET YOU FREE! Isa 62:2 The Gentiles shall see thy righteousness, and all kings thy glory: and thou shalt be called by a NEW NAME, which the SPOKESMAN of YAH SHALL NAME. Rev 3:12 ‘He who overcomes, I will make him a pillar in the temple of My YAH, and he will not go out from it anymore; and I will write upon him the NAME of My YAH, and the NAME of the city of My YAH, the new Jerusalem, which comes down out of heaven from My YAH, and My NEW NAME. Rev 2:17 ‘He who has an ear, let him hear what the SPIRIT says to the churches. To him who overcomes, to him I will give to eat of the HIDDEN MANNA, and I will give him a WHITE STONE (a covenant Oath-ring in marriage), and a NEW NAME written on the stone which NO ONE KNOWS BUT HE WHO RECEIVES IT! Rev 19:12 His eyes were as a flame of fire, and on His head were many crowns; and He had NAMES/ TITLES written, that NO ONE KNEW BUT HE HIMSELF. John 14:20 At that day ye shall know that I am in my Father, ye in me, and I in you. Isa 45:14 Thus saith the LORD, The labour of Egypt, and merchandise of Ethiopia and of the Sabeans, men of stature, shall come over unto thee, and they shall be thine: they shall come after thee; in chains they shall come over, and they shall fall down unto thee, they shall make supplication unto thee, saying, Surely the Holy One is in thee; and there is none else, there is no other Elohiym Isa 45:15 Verily thou art an Elohiym that hidest thyself, O Holy One of Israel, the Saviour. HERE IS REVEAELED IN THE PROPHET ENOCH IS THE POWER AND AUTHORITY TO THE HONOR OF THAT GREAT SECRETED NAME! ENOCH 68:20 .. He spoke to holy Michael to REVEAL to them the SECRET NAME, that they might UNDERSTAND that SECRET NAME, and thus that they may REMEMBER the OATH; and that those who pointed out every SECRET THING to the children of men might TREMBLE at that NAME and OATH. 31 Thus in the heavens take place the blowings of the winds: all of them have breathings, and effect a complete combination of breathings. They GLORIFY with ALL their POWER of PRAISE; and He sustains them in all that act of thanksgiving; while they laud, glorify, and exalt the NAME of the LORD OF SPIRITS for ever and ever. “At that hour, that Son of Man was GIVEN a NAME in the presence of the Lord of Spirits, the Before-Time; even before the creation of the sun and the moon, before the creation of the stars, He was GIVEN a NAME in the presence of the Lord of the Spirits. He will become a staff for the righteous ones in order that they may lean on him and NOT FALL. He is the light of the Gentiles and He will become the hope of those who are sick in their hearts. All who dwell upon the earth shall fall and worship before Him; they shall glorify, bless, and sing the NAME of the Lord of the Spirits. For this purpose He became the CHOSEN ONE; He was CONCEALED in the presence of the LORD of the Spirits .. prior to the creation of the world, and for eternity. And He has revealed the wisdom of the Lord of the Spirits to the righteous and the holy ones, for He has preserved the portion of the righteous because they hated and despised this world of oppression (together with) all its ways of life and its habits in the NAME of the LORD of the Spirits; and because they will be SAVED in HIS NAME … and it is His good pleasure that they have life” (I Enoch 48:2-7). In preparation for the days to come, it is evident that few things need be cleared up. For now, I have a few things to say about the HOLY NAME of the FATHER. The term “YAH“, more specifically “YAHH” was written because it relates consonants in THE NAME. YAH ie. YH ie. YOD-HE is written because it relates in short what are the FIRST and the LAST letters of the HOLY NAME. 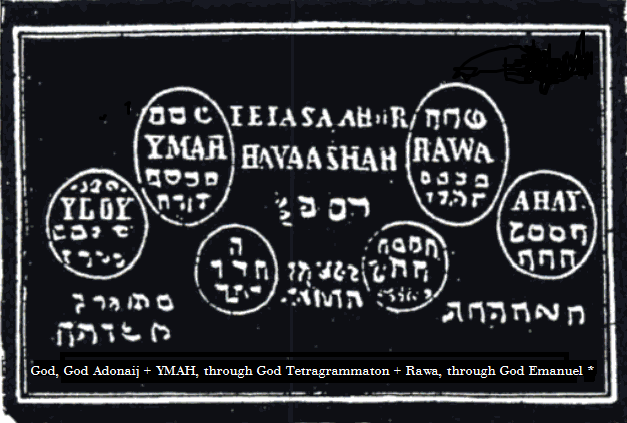 The “FOUR LETTER” TETRAGRAMMATONS that are of familiar use today are exactly that. They are “FOUR LETTER” EXTRACTIONS taken from amidst what would otherwise be the full consonantal and vowel filled name! The writer-recorders were careful NOT to write ALL the consonants nor ALL the vowels together in the texts! I know this heads up may be a shock to many of you. Consider that there are both other consonants and vowels that are not recorded in the texts. Furthermore, I will say to you from DIRECT experience that the “VAV” is definitely NOT a “U” in this case. Further, it is best to know this. YAH desires FIRST for HIMSELF to see a reverent people desirous to know the PRECEPTS of HIS NAME as a stabilizing foundation for all REASON unto REVELATION of the EXCEEDING TRUTH! He desires that men know what HONORS HIM FIRST as a primary objective. There is a reward to them who prove FIRST that they would SEEK HIM that they REVERE HIS NAME. Consider. In Isaiah 40:27-41:4 and Malachi 2:16-3:4, YAH relates HIMSELF, even as such the Messiah as HIS faithful representative in context as it is rendered in the “KJVersion” as “The Lord whom ye SEEK“, and in some texts “HE for whom you are WAITING” .. as in “They who WAIT for YAH shall be RENEWED unto STRENGTH” .. beyond ALL worldly MISconceits and distracting pretenses of the variant conflicts ie. error/ sin of the rulers. At EXODUS 3:14 HE is the Great I AM.. that I .. AM! AHYAH ASHER AHYAH! HE is the GREAT I AM THAT, WHO, WHAT, WHERE, AS, LIKE, ETERNALLY AS, FROM, BY, WITH, ALL THAT HE IS! Innately it is a fool who says simply with a vocable that he knows instantly ALL that YAH IS, therefore to REVERE and LOVE HIM is to SEEK HIM, faithfully beyond ALL “rulers” .. as HE is the MOST .. HIGH! HIS is indeed a HOLY NAME. YAHH with YAHH is YAHH. Consider the word “ELOHIYM”. YAH is ALL that HE IS and NOTHING that HE is NOT! HE is the MANY that are ONE, the LORD SABAOTH, the LORD of ARMIES, LORD of ALL who TREMBLE at the TRUE AUTHORITY of HIS SOVEREIGN COMMAND! It is imperative to prove desire beyond all worldly presumptuousness to DISCERN the TRUTH of HIM that NO ONE PROFANES HIS NAME ie. LIES against HIM! For to speak presumptuously is to run dangerous risk of being counted an UNworthy vessel that would not uphold the INTEGRITY of HIS thoughts. For before there was words there was concept. To know WHAT is said and not know cumulatively WHY it was said, is not wisdom. In fact, “reVerence” without the constancy of a a reFerence point, is dangerous to all! 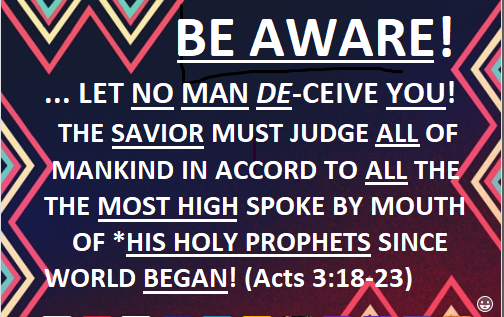 We are warned NOT to avow anything in HaShem, the Holy Name after vain short-sightedness or worldly ie. carnal-minded pollutions. Not to seek for the FULLNESS of ALL that is DIVINE REQUIREMENT is to BREAK the COVENANT, even to be counted a DANGEROUS ENEMY against the HOLY COVENANT, even to be a SELF-RIGHTEOUS ENEMY against ALL! (Phillipians 3:12-<18>-21) As YAH is ALL that HE IS, so the HOLY COVENANT signed and sealed with HIS NAME is ALL that it ETERNALLY IS .. unto the EVENTUALITY declared from BEGINNING as DIVINE PURPOSE! Yet there are FEW today who know the PROMISE concerning what YAH has foretold should be the common expectation sought for by every faithful soul! Some may have a hard time dealing with whatever is not fashionable status quo commonly accepted by the people. I can only respond to that that the Book tells us that there is MUCH that this generation must come to REMEMBER. We must REMEMBER MUCH that we no longer be DIVIDED after pride in partialities and pollutions that can never make us AGREED of ONE ACCORD in YAH! The TRUTH is what YAH has founded toward HIS expectation throughout ALL the AGES. PURITY and COMPLETION offter ONE CHOICE! Yes indeed! We have MUCH to REMEMBER before we are ONE with ALL the SAINTS regarding the PROMISE made to the ANCIENTS of whom we claim to be HEIRS! Again, some may have a hard time dealing with “revelation knowledge” that is not consistent with the status quo. But when the EXCEEDING TRUTHS that a WORLD has long FORGOTTEN are RESTORED true to the EXPECTATION, let it be known that I did try to say it in advance. Know however, that ALL that was LOST in diaspora, the utmost faithful in the TIMES OF REFRESHING shall be RECLAIMED! Unto HIS Might, Sovereign Honor and Praise Always! Hallelu’ YAH! TO HIS PRAISE ALWAYS! HALLELU’YAH!